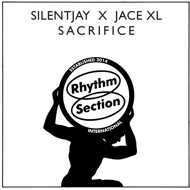 Coming straight out of melbourne with plentiful attitude, Producer/multi-instrumentalist Silentjay teams up with fellow Hiatus Kaiyote backing vocalist, Jace XL to present 'Sacrifice', a mini album of epic proportions. At once sincere and heartfelt, the songs do not shy away from the playful influence of 90s RnB - a sound that is a defining influence on this EP, which despite clocking in at just under 30 minutes, attains a level of artistry and conceptual cohesiveness that many artists could only dream of. Another VERY serious record, from an impossibly fertile Melbourne Scene that is quickly becoming the envy of the world.